When you think “modernization,” you probably visualize a rip-and-replace. Extended downtime. Profit losses. The negatives you prefer never to ponder. There’s a better way, though: With a phased modernization of your Allen-Bradley® legacy equipment, you’ll update your systems on your timeline and your budget, minimizing drastic effects on your operation. By handling it this way, you can include costs as part of your operating, rather than capital, expenditures. Have money you need to use before you lose it at the end of the year? Take another step on your modernization path. Before long, you’ll have a completely updated facility – without the losses and downtime. PanelView™ terminals, FLEX™ I/O Adapters, PLC-5®, and SLC™! 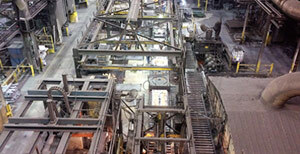 American Castings updated its system to ControlLogix®. They benefited in big ways by being able to keep their original equipment running while testing the new system. Find out how! Read the Story here! 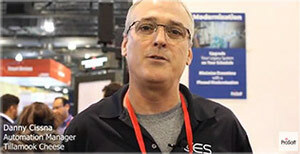 The Modernization Gateway enables phased updates to EtherNet/IP-based equipment. » Get more information about the modernization gateway here! » Get more information about the DF1 Routing module here! » Get more information about the DF1 Messaging module here!